We’re back to continue our ranking of Mario Kart 8 Deluxe’s huge roster of courses! In celebration of the game's one year anniversary we're ranking all 48 tracks. In case you missed it, check out our first part here. If you’ve just caught up, or have been eager to see the best of the best, let’s crack on. Moo Moo Meadows is a track that shows simplicity can be a strength on its own. The beautiful scenery, with its added sunset in the background, makes for quite a relaxing race. It's great if you don’t want to be too serious with less skilled players. The fantastic violin in the music adds to the experience, and in spite of them being obstacles, I will never not chuckle at the cows that walk along the course. I love crossover stuff. Whether it’s the odd easter egg, or a full-blown game, I simply love it whenever game worlds collide. 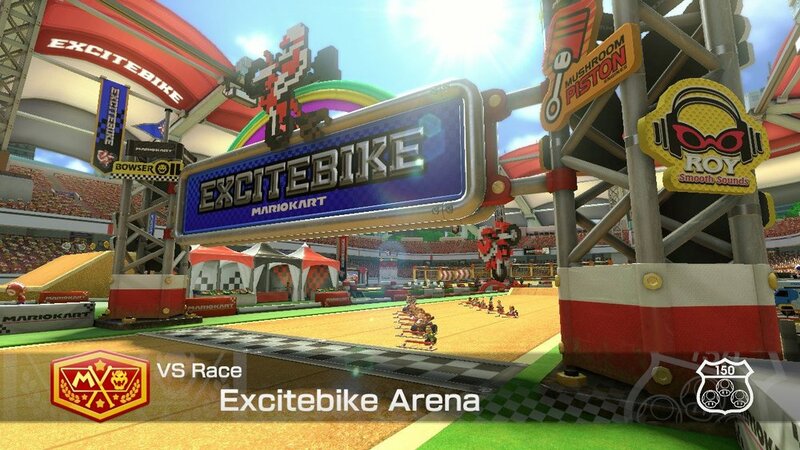 So, it shouldn’t be any surprise that I like Excitebike Arena, which pays homage to the classic NES racer. The retro-themed music encompasses the original game so well, however, the real defining feature is the random course construction. Every time you race, the layout is different, meaning the position of ramps and so on vary each time, just like Excitebike. Piranha Plant Pipeway can be surprisingly fast-paced, given the water flows to boost your speed, and the feeling's enhanced by the somewhat cramped setting in general. The old-school references to the classic Super Mario Bros. is a welcome touch, and it shines brighter now that it has been brought up to HD from Mario Kart 7. Sunshine Airport is a great start to one of the game’s best cups: the Star Cup. Zipping around in and out of the airport makes for an intriguing concept, and flying to the high anti-gravity section alongside an aeroplane is unspeakably cool. Sporting a lovely tropical setting and melody, Cheep Cheep Beach is a pleasure to play on. The recent ability to go underwater allows for more freedom whilst racing in the middle section of the track (as you would have had to use the winding route of sand on Mario Kart DS). You shouldn’t have too bad of a time here, and if you do, the wonderful beach scenery should calm you soon enough. As one of my favourites from Mario Kart Wii, it was great to see Wario’s Gold Mine return via DLC in the Wii U’s Mario Kart 8. The music retains the original’s rollercoaster ride sensation, and the added boosters on those once annoying mine carts have been a positive addition. Yoshi Circuit is a far better tribute to the lovable green dino than Yoshi Valley in this game. After all, it is even shaped like Yoshi to boot! The multiple number of turns can prove quite tough on higher engine classes. But successfully pulling these off results in a feeling of pure joy, befitting of Mario's egg-hurling pal. The Animal Crossing series is a favourite among many, and this course really does the series justice. The defining feature is the different seasons that afflict the course at random, reflecting the changing nature of Animal Crossing games in general. The autumn setting paints the town with a beautiful sunset, whilst the winter version offers a wonderful Christmas-themed music track. Whilst the track itself is quite basic, Animal Crossing fans can't have a bad time with this, given that it does such a good job of capturing the essence of the series. Whilst I can't personally relate to those with nostalia for N64 Rainbow Road (be it love or hate), I feel that I can still say that the course is an absolute blast. It isn't all that challenging as Rainbow Roads go, with the only true obstacles being some bouncing Chain Chomps. So what makes this course good? 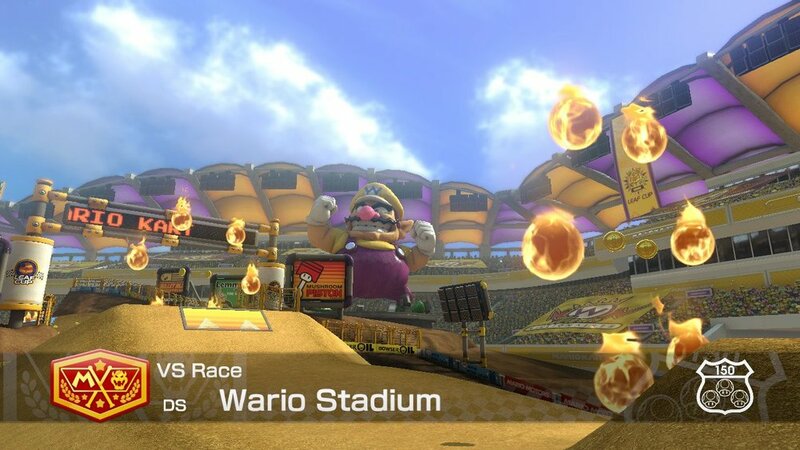 Once again, I have a soft spot for tracks originating from the DS instalment, but I think Wario Stadium is the best out of the bunch in Mario Kart 8. It's a fun ride, with plenty of opportune moments to pull off tricks. The vibrant setting and crowd also makes for a thrilling race. 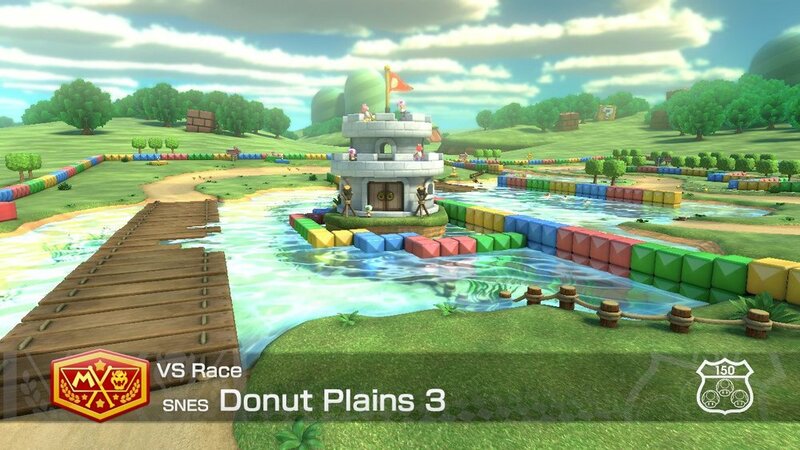 No track shows that simplicity can be the key to a great course better than Donut Plains 3. Whilst many retro tracks really dial up their aesthetic, this course stays particularly faithful to the SNES original, right down to the music. It may not be challenging, but it is still good, pure fun. I don't see a lot of fuss about Cheese Land, and even though it is nowhere near the best, it certainly isn't the bottom of the barrel either. The indents in the road grant opportunities for tricks, and at higher speeds you may need to question if the extra velocity won't send you off-track. 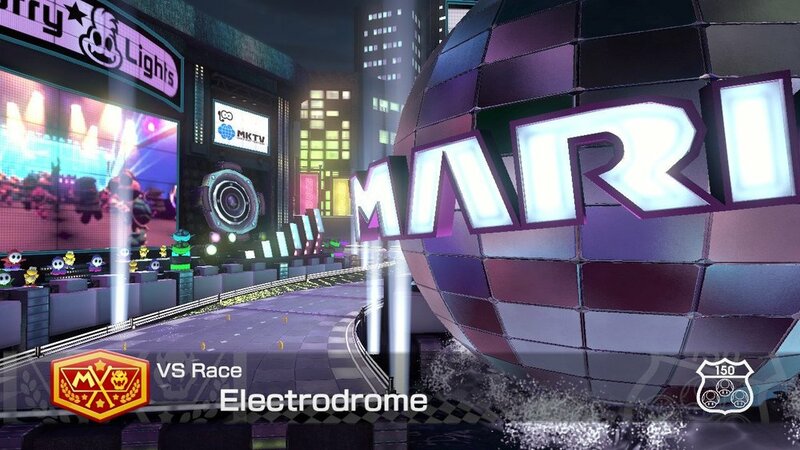 The soundtrack is particularly jazzy, and the final couple of turns can really make or break a race. At first, the anti-gravity concept introduced in the game may not seem that important, even with the spinning boosts, given that the camera follows your orientation. However, it does wonders for level design, and a lot have taken advantage of it. Shy Guy Falls is a textbook example of such a concept. Racing up a waterfall wouldn't have been possible before, and as such is always a great course to show off the new mechanic. Besides, I'm quite fond of the Shy Guys, so seeing them work away in the background is always quite neat. I'm not big on the whole night-club thing, but if Electrodrome was a real place, I may change my mind. The electro-inspired soundtrack already separates the course from the others, with some cool branching paths to take advantage of too. The vibrant visuals and banging beats never fail to please. Wild Woods doesn't have what you'd call a defining set-piece, but I just find it to be a well-designed course. It's not too simple, but it's not too hard either, offering a decent blend of both. The Shy Guy village always looks cool as I glide by. Plus, the vertical start is quite impressive, even if it is only noticeable in the track's opening cutscenes. I'd warrant not many are too fond of underwater levels, but Dolphin Shoals is hard to hate (and yet I manage it anyway - Ed). 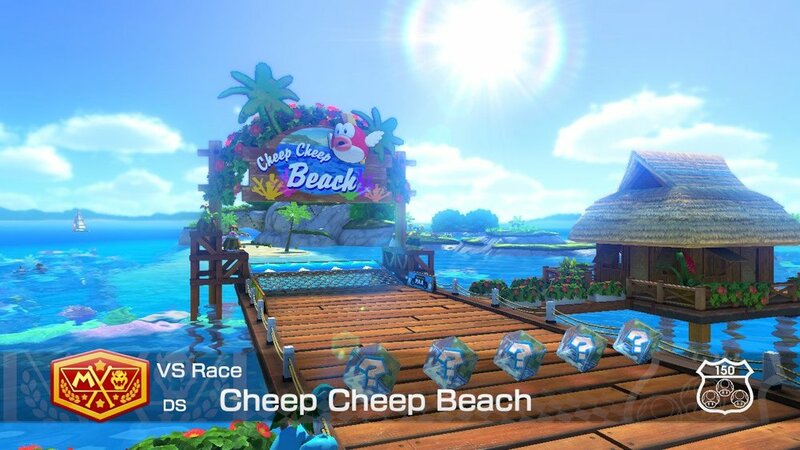 Like Cheep Cheep Beach, the track sports a brilliant sea-themed environment. The music is one of the most enjoyable parts, especially when the sax kicks in as you come out of the water. I think, admittedly, it's just my weird fondness for trains that appeals to me about Super Bell Subway. The different routes can split the pack, and even if it's not the fastest path, you may be able to drive atop a train. Doing stuff like that never gets old for me. Before I started this process, I wasn't expecting Dragon Driftway to be this high up on the list, but it's not to be underestimated. The tight roads and corridors invite chaos, so it feels that much more rewarding when you finish victorious. Besides, a reference to Super Mario Galaxy 2 (the boss Gobblegut in this case) is always neat to see. It's sad to see that F-Zero isn't getting a great amount of love these days, but at least there are a couple of sweet tracks dedicated to the series in this game. Mute City is quite exhilarating, blasting you off with a ton of speed boosts from the get-go, and the rendition of the original theme should make fans of Captain Falcon happy. 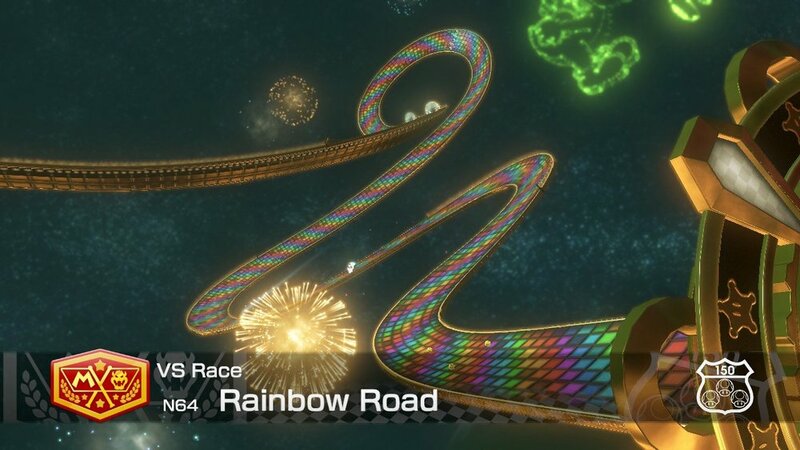 Evoking a certain feel from the classic Toy Story films, Mario Kart: Super Circuit's Ribbon Road is a blast to play on. The non-intensive music complements the chilled out setting of a kid's bedroom, which is full of different trinkets to discover (like a woolly Yoshi from Yoshi's Woolly World - gotta love cheeky marketing like that). The blue ribbon portion is possibly the most challenging, as its two shortcuts demand timing and skill to execute. Big Blue is simply a great course. As one of the few circuits in the game to have one long track instead of using three laps, this F-Zero tribute doesn't fail. It's not until you zoom out that you see how crazily constructed this course is, and as a result, it's a fine example of the anti-gravity feature. The fact that the music is absolutely killer helps too. What a bloody good course Bowser's Castle is. From the swinging spiked balls, to gliding through the air to avoid lava plumes, it's a track that hardly gives you time to breathe. The giant moving Bowser Statue is an easy highlight. As you approach it, you only have a second after seeing it to decide which way to go: either take advantage of the ripples created by the big beast and risk of being crushed by a fist, or play it safe and miss out on some crucial speed boosts. All in all, the track's good stuff, and my favourite iteration of Bowser’s Castle in the entire series. It's not hard to see how Hyrule Circuit is a fan favourite. After all, it's a love letter to the Legend of Zelda franchise. Rupees replace coins, Deku Babas take over from Piranha Plants, and there's even a puzzle within the castle that opens a shortcut through the Master Sword (complete with that classic jingle). Alongside the fantastic cover of the main theme, Hyrule Circuit makes for a great track. Who didn't see this coming?! Well, of course, I did, but that’s beside the point. 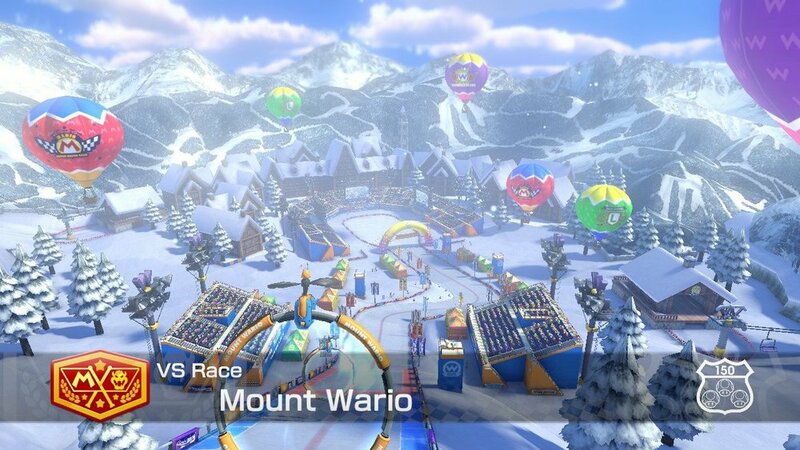 It’s one of the few in the whole series to have sections as opposed to proper laps, but something about Mount Wario just feels different. It tells a story almost: starting at a snowy mountain peak, you work your way down, racing through a cave and then on the side of a freaking dam! From there you navigate your way through the short woods that make for some of the toughest obstacles I’ve faced in series history (trees, of all things!). The final portion amps things up, now sliding down a proper ski slope, complete with an audience, a ski jump, and a cosy lodge awaiting you at the finish line. All great on its own, but it’s just how everything gels together, emphasised by the music changing with each of the sections I just mentioned. I believe it’s truly a one-of-a-kind course. Well, there you have it! 48 tracks for a Mario Kart game is no small feat, and it’s one of the reasons it stands as my favourite in the series. Whilst many are better than others, each track has its own identity, sporting unique themes, terrain, and atmosphere as a whole. Let us know what your favourites are in the comments below, as well as what other rankings you want to see in the future!